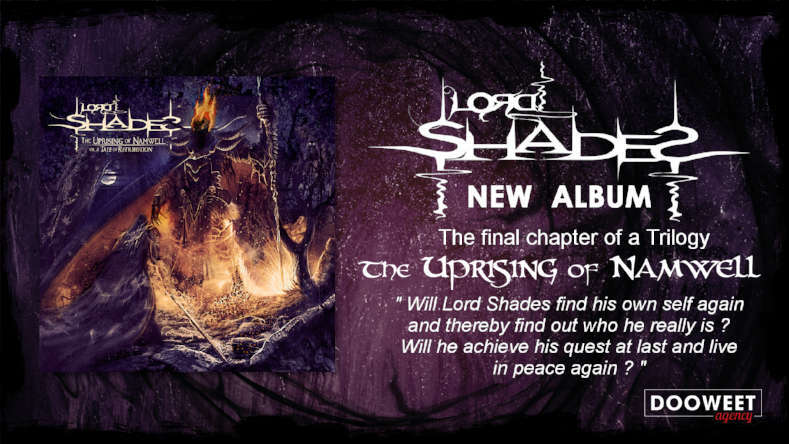 After several years of fighting, wandering and suffering, Lord Shades returns to the battlefield with his new album. Lord Shades transports you back to tormented worlds, in the middle of relentless and merciless fights, mixing violence, melancholy, brutality and despair. Let your spirit enter into communion with this new Lord Shades adventure. This last opus marks the end of the trilogy of Lord Shades, this album is full of styles and atmospheres of any kind, none of its pieces will leave you unmoved. Indeed this album has gathered no less than 30 participants, musicians, singers, singers, arrangers ... to create the atmosphere black/death atmo own the group. 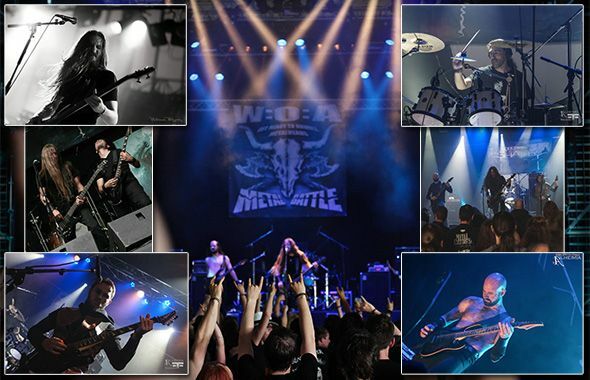 You will find among others, dark ambiances, violent, captivating, mixing black metal, death metal, traditional music but also more organic passages with the incorporation of a men/women choir in flesh and bone mounted for the occasion . This last album sees have entered on the media scene of the best eye, the praise fuse on the web, already a lot of positive chronicles have seen the day since its release! Here's what the press thinks: https://www.lordshades.com/chroniques. The Uprising of Namwell is available since December 8, 2017, you can get it directly from Lord Shades' official website shop as well on all download platforms (Deezer, Spotify, Youtube, etc. ). 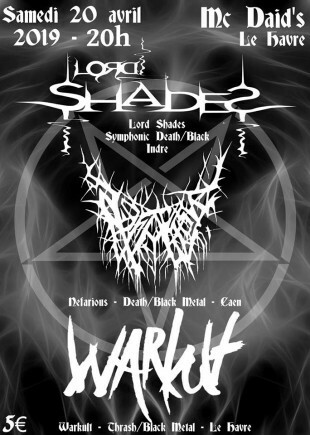 After his release party, organized by the Lord Shades Management association, where more than 200 warriors took part in the event, Lord Shades now wishes to invade other countries from September 2018 and this until death ensues ! In order to finalize his tour project in France and abroad, please contact the band to propose all your concert or festival projects. Lord Shades are also available for your international booking as a guest. 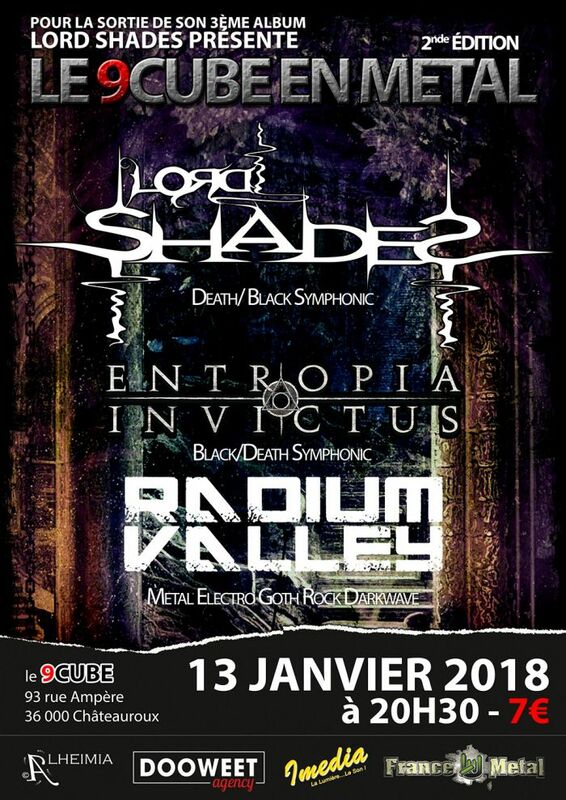 Lord Shades has also become an association, LORD SHADES MANAGEMENT, we propose to organize or co-produce concerts in your cities with your favorite bands and share the stage with them. Contact us without hesitation, we will review all received proposals.